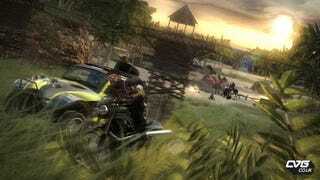 The UK's PSW Magazine has a slew of gorgeous new screenshots of the highly anticipated follow-up to last year's PlayStation 3 racer Motorstorm, which show off just how far the developers have come since those first stumbling steps on the PS3. The new island local looks suitably tropical, the characters have a great deal more character, and overall the environments look like they'd be a joy to tear up. Hit up the link for the full gallery.